The Competition is subject to all applicable federal laws and regulations. Participation constitutes each Contestant's full and unconditional agreement to these Official Rules and administrative decisions, which are final and binding in all matters related to the Competition. Eligibility for a prize award is contingent upon fulfilling all requirements set forth herein. Developers must submit their original application between October 1, 2013 and February 3, 2014. Only winning submissions will be published on Challenge.gov and/or ChallengePost.com. Challenge submissions can be from an individual, an entity, or a team of individuals. Prize money will be awarded to the project leader for distribution to the rest of the team. The NEA will not be responsible for failure of a project leader to distribute prize money. By submitting a visualization to the competition, you represent and warrant that you are the sole author and owner of the submitted design. Designs must be your original work, and must not violate or infringe the rights of other parties, including but not limited to privacy, publicity, or intellectual property rights, or material that constitutes copyright or license infringement. Your design may not contain any material that is inappropriate, indecent, obscene, hateful, defamatory, or in any way disparaging. Your design cannot have been submitted previously in another promotion or contest of any kind. All visualizations or applications submitted to the NEA Challenge remain the intellectual property of the individuals or organizations that developed them. By registering and entering a submission, however, the Contestant agrees that NEA reserves an irrevocable, nonexclusive, royalty-free license to use, copy, distribute to the public, create derivative works from, and publicly display the work of contest winners, and to authorize others, including the general public, to use the Submission without restriction on a royalty-free basis. The reservation of NEA rights to authorize use of the Submission by the public includes the Contestant’s assent to NEA’s release of the application under an open-source software license, if NEA so chooses. The Contestant agrees to execute a separate license with NEA, as appropriate, for such purposes. NEA reserves the right, at its sole discretion, to cancel, suspend, and/or modify the competition for any reason, which includes the right to decline to select a winning design if NEA determines that no submission satisfactorily meets the selection criteria. By participating in this competition, you are providing your full and unconditional agreement to abide by the rules set forth in these Official Rules. Contestant represents and warrants that he or she is the sole author and copyright owner of the Submission, and that the Submission is an original work of the Contestant, or if the Submission is a work based on an existing application, that the Contestant has acquired sufficient rights to use and to authorize other’s use of the Submission, including NEA’s, as specified in the “Intellectual Property Rights” section of the Rules; and that the Submission does not infringe upon any copyright or upon any other third party rights of which the Contestant is aware, and that the Submission is free of malware. 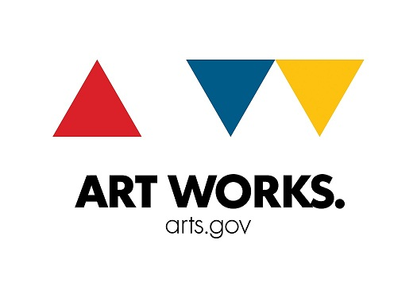 The Chairman of NEA will appoint a panel of qualified judges to select the winner of the "Presenting Arts Data Artfully" data visualization challenge. The panel comprises two distinguished individuals from outside NEA and two NEA employees selected for their expertise in the fields of data, visualization, and design. Before providing any submissions to the panel of judges, NEA staff members will initially review all submissions to ensure that they are minimally competitive and that judges can apply the criteria described below. To ensure that the judging process is fair and impartial, judges will conduct a blind review of and select from the top 10 applications that the NEA determines are most competitive. Judges may not (A) have personal or financial interests in, or be an employee, officer, director, or agent of any entity that is a registered participant in a competition; or (B) have a familial or financial relationship with an individual who is a registered participant. Creativity: Is the application creative, interesting, and easy to use? Artful Design: Is the application functional, artfully designed, and visually appealing? Statistical Validity: Does the application properly account for definitions of variables, statistical sampling procedures and weights, and differences across time, data sources, and data collection procedures? Use of Required Data: Does the application use the required 2012 SPPA? Technical Implementation: Is the application functional, elegant, and accessible on any internet accessible platform, including personal computers, tablets, and mobile devices? Does the application require purchase or downloading of a tool to use it? Is the application compatible with the NEA website, which utilizes a Drupal 7 content management system? The decisions of the judges will be virtually announced on or about March 10 on Challenge.gov and/or ChallengePost.com. Except where prohibited, participation in the Competition constitutes each winner’s consent to NEA’s and its agents' use of each winner's name, likeness, photograph, voice, opinions, and/or hometown and state information for promotional purposes through any form of media, worldwide, without further payment or consideration. Registered participants shall be required to agree to assume any and all risks and waive claims against the Federal Government and its related entities, except in the case of willful misconduct, for any injury, death, damage, or loss of property, revenue, or profits, whether direct, indirect, or consequential, arising from their participation in a competition, whether the injury, death, damage, or loss arises through negligence or otherwise. The Contestant shall be liable for, and shall indemnify and hold harmless the Government against, all actions or claims for loss of or damage to property (including any damage that may result from a virus, malware, etc., to NEA computer systems or those of the end-users of the software and/or application(s)), resulting from the fault, negligence, or wrongful act or omission of the Contestant. It is recommended that participants obtain liability insurance in an amount sufficient to cover (or otherwise be prepared to demonstrate financial responsibility for) claims for damages (such as intellectual property claims) arising from or related to competition activities. THE MATERIAL EMBODIED IN THIS SOFTWARE IS PROVIDED TO YOU "AS-IS" AND WITHOUT WARRANTY OF ANY KIND, EXPRESS, IMPLIED, OR OTHERWISE, INCLUDING WITHOUT LIMITATION, ANY WARRANTY OF FITNESS FOR A PARTICULAR PURPOSE. IN NO EVENT SHALL THE UNITED STATES NATIONAL ENDOWMENT FOR THE ARTS(NEA) OR THE UNITED STATES GOVERNMENT BE LIABLE TO YOU OR ANYONE ELSE FOR ANY DIRECT, SPECIAL, INCIDENTAL, INDIRECT, OR CONSEQUENTIAL DAMAGES OF ANY KIND, OR ANY DAMAGES WHATSOEVER, INCLUDING WITHOUT LIMITATION, LOSS OF PROFIT, LOSS OF USE, SAVINGS OR REVENUE, OR THE CLAIMS OF THIRD PARTIES, WHETHER OR NOT NEA OR THE U.S. GOVERNMENT HAS BEEN ADVISED OF THE POSSIBILITY OF SUCH LOSS, HOWEVER CAUSED AND ON ANY THEORY OF LIABILITY, ARISING OUT OF OR IN CONNECTION WITH THE POSSESSION, USE, OR PERFORMANCE OF THIS SOFTWARE. All submissions become NEA records and cannot be returned. Any confidential commercial information contained in a submission must be designated at the time of submission. Submitters will be notified of any FOIA requests for their submissions in accordance with 45 C.F.R. § 1100. Contestants should keep in mind that the National Endowment for the Arts considers universal accessibility to information a priority for all individuals, including individuals with disabilities. In this regard, the NEA is strongly committed to meeting its compliance obligations under Section 508 of the Rehabilitation Act of 1973, as amended, to ensure the accessibility of its programs and activities to individuals with disabilities. This obligation includes acquiring accessible electronic and information technology. When evaluating Submissions for this contest, the extent to which a Submission complies with the requirements for accessible technology required by Section 508 will be considered.